So we may be a little early on the Easter wagon, but what better time to start thinking of those little added extras you will want to give on Easter Sunday then now. We have the perfect gift for you to give this holiday to one of your little ones. Do not let the name Children’s Necklace fool you either, these can be loved by both children and adults alike. 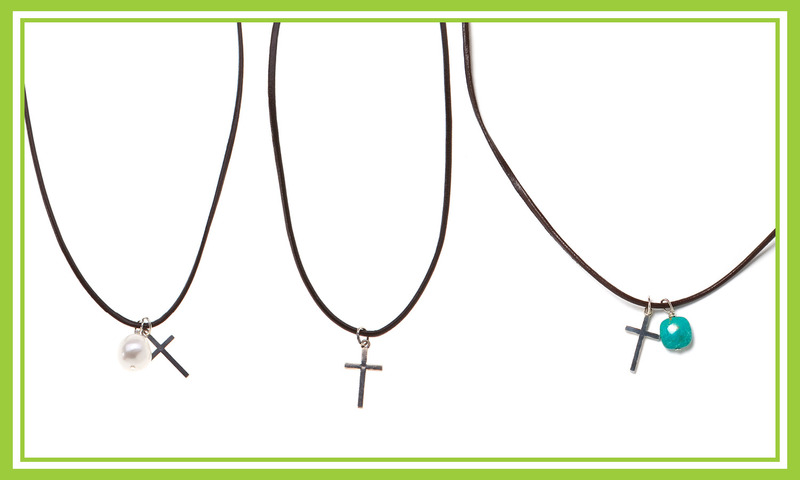 This year LJ is offering our Children’s Necklace to you with a stone of your choice. Whether it is a favorite color or a birthstone we can find a color to match your Easter Sunday best. And remember, you can always stick with the original cross, cross & pearl, or the cross & turquoise necklaces that we offer year round. These necklaces are great for year round wear and are made with strong leather so can easily be worn daily for both dress up and play! Easter is less than two weeks away so call us or come by the studio to customize your necklace today. 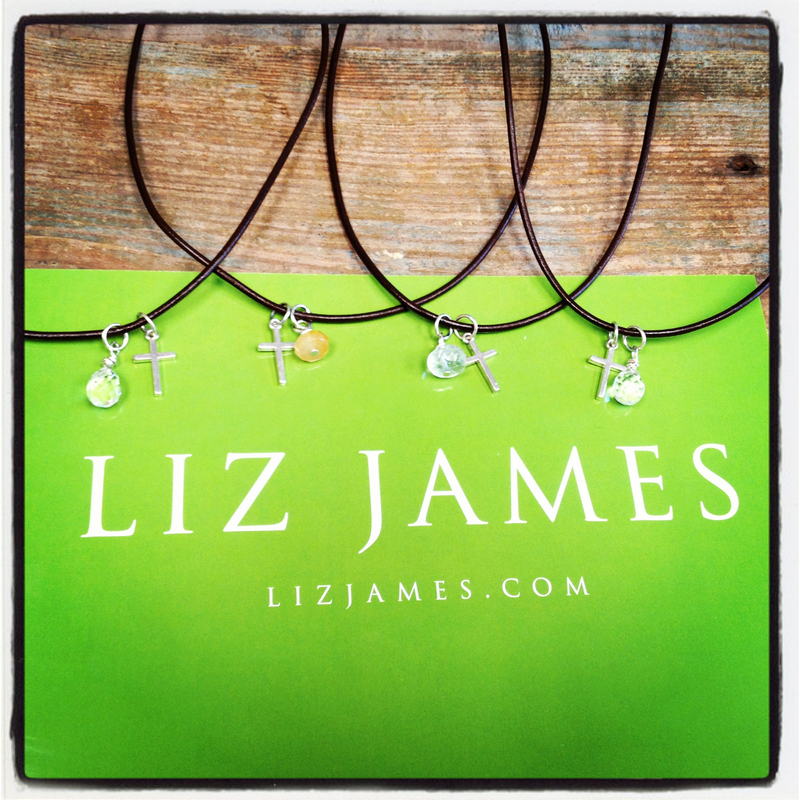 Don’t forget you can always order anything from our full collection online with free shipping at lizjames.com. Happy Easter from Liz James! Our pick for this weeks blog is the Norah. 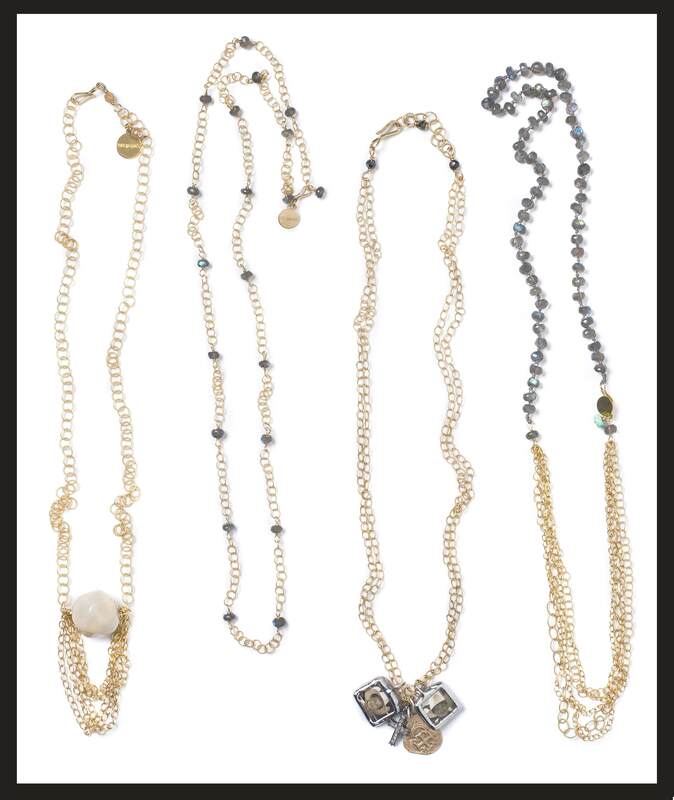 The Norah Necklace is one of our most classic pieces and comes in many different shades that can compliment any look. With today being the first day of spring we have a couple great looks that can help spring your warm weather wardrobe to the next level. The versatility of this necklace helps to give you a couple different looks on its own with a choice to wear it long or doubled, and with it being such a small delicate necklace it layers superbly with other jewels you may already have in your jewelry box. So get to know Norah, she is an easy going gal who plays well with others and can take you from a casual daytime soiree to a fancy night out. LJ has layered a couple different Norah’s with two looks from day to night. Be creative with your accessorizing, go ahead mix and match your favorite shades of Norah with one another and any other jewels you may choose. 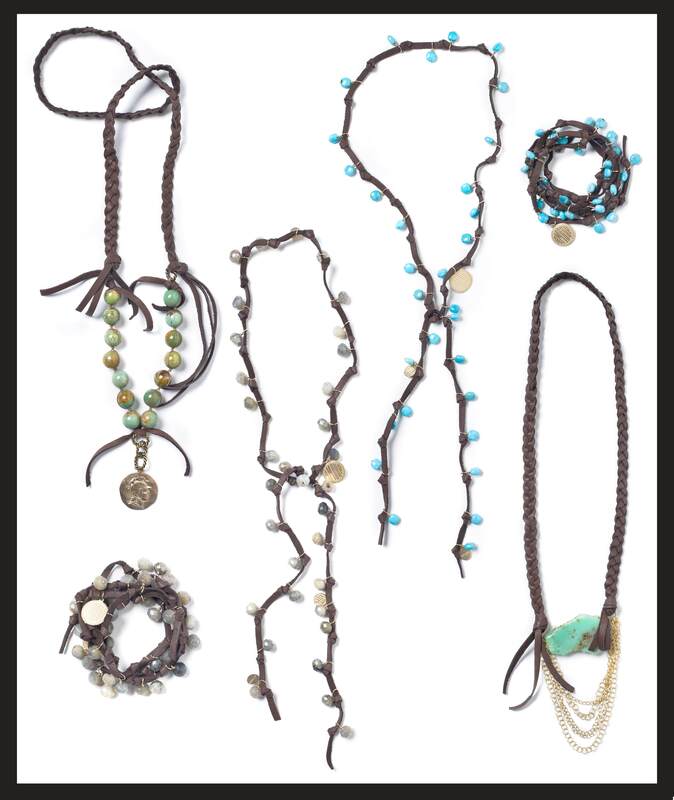 Remember to check out all of the Norah’s and our full line at lizjames.com. What is your favorite Norah? What would you pair your Norah with? With the NCAA tournament officially kicking off today we are throwing on our team colors and gathering around the TV. Whether your team is at the top of the pack, or the bottom it does not matter today the tournament marks the beginning of victories and losses with there always being upsets. Even if by chance your Alma Mater did not make the cut this year, there is most likely a team in the bracket that you will be routing for. We have put together two teams from each bracket starting with the number one seeds and matched them with a piece of LJ jewels. Now you can show off your team colors with a dazzling bauble to boot! These 4 teams above are at the top of the class, they fought hard and made their way to number one in each of their brackets. Our picks for this bracket are North Carolina from the midwest + Chantal, Syracuse from the east + Rachel, Michigan State from the west + Jennifer, and in the last corner we have Kentucky from the south pairing up with Laurel. For our honorable mention we have chosen two teams from two of the brackets that are close to home. We pulled in the Crimson tide from the midwest bracket, and brought the Rams in from the west (mainly due to it being a member of the LJ family Alma Mater). So in bracket one we have Texas from the east + Allie, Alabama from the midwest + Gayle (Coral), Colorado State from the west + Gayle (Turquoise), and lastly we have Baylor coming in from the south + Amy (Turquoise). Both our friends CSU from the west and Baylor from the South are green and gold so you can interchange the jewels we have laid out for these two teams. Well there you have it! The tournament will be starting in only a matter of minutes and Liz James wishes good luck to all of the teams that made it into the NCAA tournament this year. Let us know if we left your team out and we will find an LJ match for you. What team or teams are you routing for? Who do you think will come out on top? The tradition says that wearing green is thought to make you invisible to leprechauns. These fairytale creatures would only pinch those who were not wearing green, because it is said they were the only people leprechauns could see. People continued this tradition of the pinch as a reminder of what the leprechaun himself would do. With this thought in mind we threw together a few things to get you thinking in a green state of mind today. That way you still have time before the weekend to grab you some green gear before you head out to celebrate on this years St. Patty’s Day. of the people you love. So what will you choose to wear this St. Patty’s Day, and how do you plan on celebrating? You are Invited…. to an Earring Party! Yes, that is right! LJ is having a party, and it is exclusively for your ears! What better way to highlight your beautiful feminine features than a dazzling pair of earrings? For any of you who may not be familiar with Liz James, we are an Austin based jewelry company. If you know anything about Central Texas you probably know the summers here can be stifling. 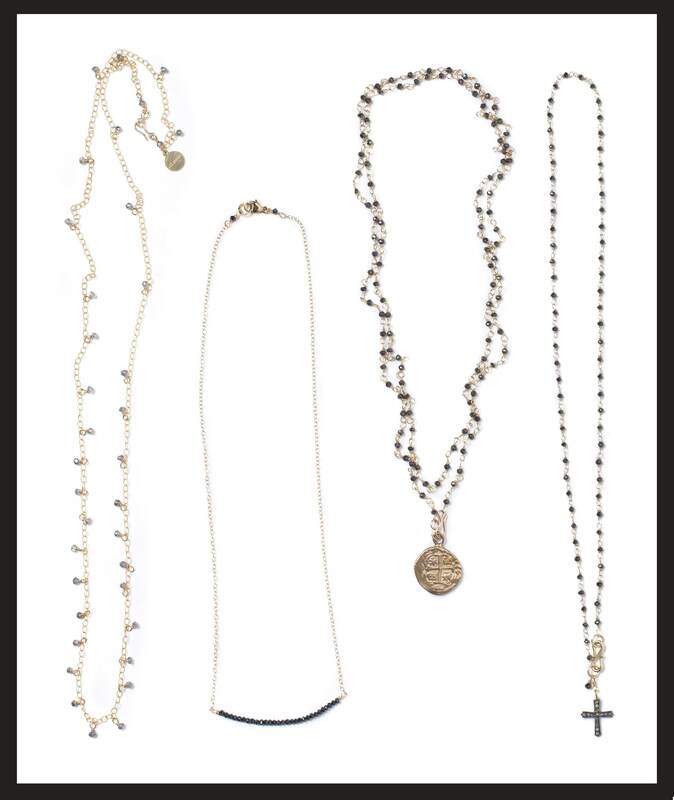 LJ understands you may not want some heavy duty baubles draped around your neck or wrists in the 100 degree weather. 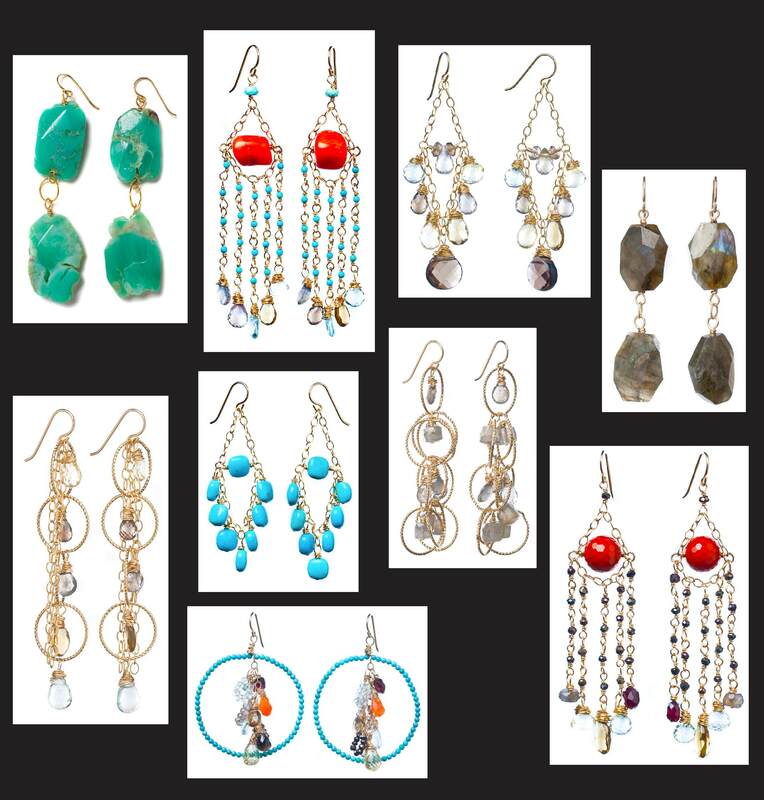 This is why for our Liz James Summer 2012 Collection we decided large, fabulous earrings were a must! Nothing is better on a hot summer night then to have your dress on, hair up, a cool drink, and bold/flashy earrings. One look that we are absolutely loving at LJ this year is tassels. You may be hearing the term that we are crushing on this, or crushing on that this season… but this is way more than a crush, this is LOVE! The extra added movement the hanging chain gives makes these such a flirty and fun pick. These tassel earrings can easily play up any outfit giving you that extra added spark and confidence you will want to show off. So as the saying goes “to each their own”… LJ knows not everyone is going to want to wear the big, in your face kind of jewels. 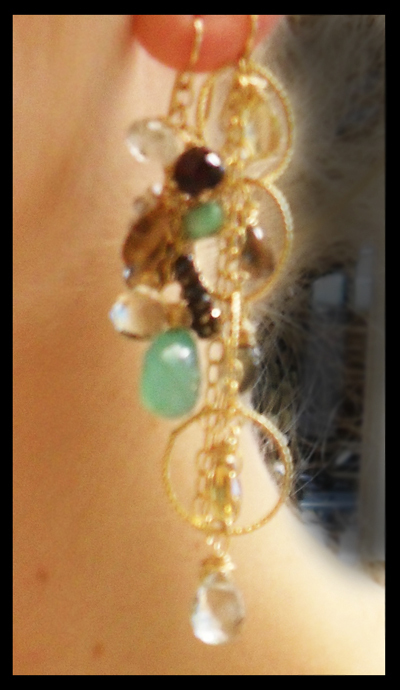 We have designed plenty of new dangles in our summer collection that keep it a bit more on the modest side. These looks give you that extra added something that will stand out more than a stud, but will not completely overwhelm your style. Last, but definitely not least are Liz James’ favorite dangly earrings for summer. When it comes to gorgeous earrings, we say the bigger the better! If you are the kind of person who loves to stand out in a crowd these are the earrings for you. The right dangly earring can take the most muted look and turn it into pure gold! 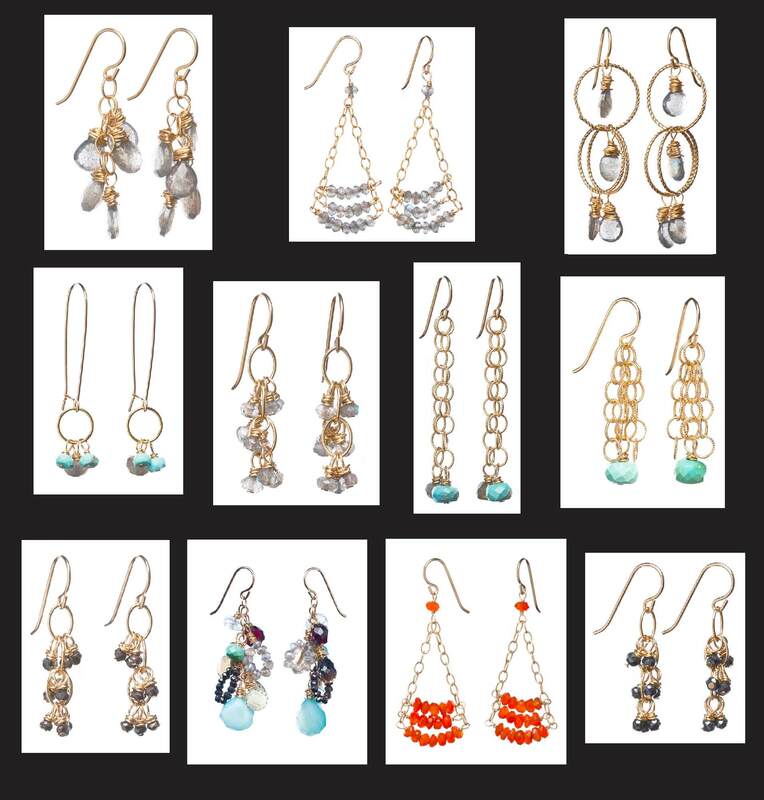 So choose from an assortment of our bold earrings to sizzle up your summer nights. So next time you decide you want to spoil your ears, or have an “ear party” of your own let us know! LJ can most definitely help you in the ear candy department. You can wear as few or as many as you want, whatever fits your own personal style. Meet the Ladies of Summer! Liz James is proud to announce that our Summer 2012 line is now available! We would like you to meet all of the lovely new ladies that will be added to a cast of already bright shining stars. The weather this summer will bring a change in not only your attitude, but your style. With every passing season we must say goodbye to some of the old, and welcome the new. What better time of year to say hello to some fresh, show stopping baubles then the season of new beginnings. LJ Summer 2012 line brings something to the table for any everyday gal. From the casual lady who loves a look with a dash of leather, to the sophisticated woman with diamonds in her eyes you are sure to find something that will suit your style. If you are thinking of having an “arm party” of your own this fabulous season, you can stack on these LJ bracelets together for a mix of the chunky and the dainty. And of course you can always wear them separately for a more conservative look. The leather has it! LJ loves the look and feel that the dark suede gives matched with gold and natural stones. The Vivi seen above is a top versatile piece this year that can double as a necklace and a bracelet. 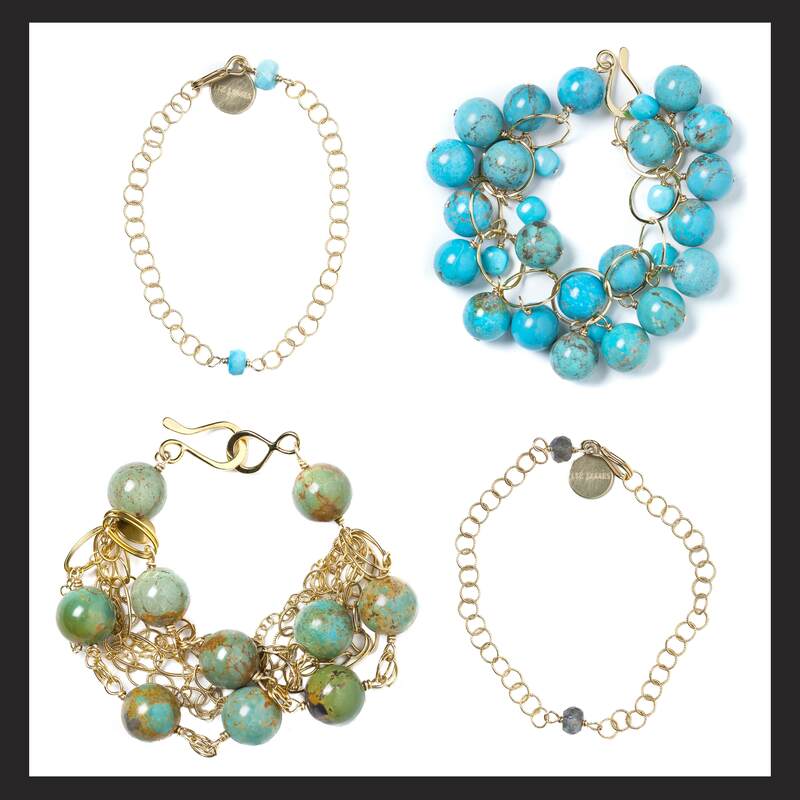 Vivi comes in both labradorite for a muted look, or turquoise for a bright splash of color. Our new range of the simple and sophisticated necklaces at LJ consist of labradorite, pyrite and diamond stones. 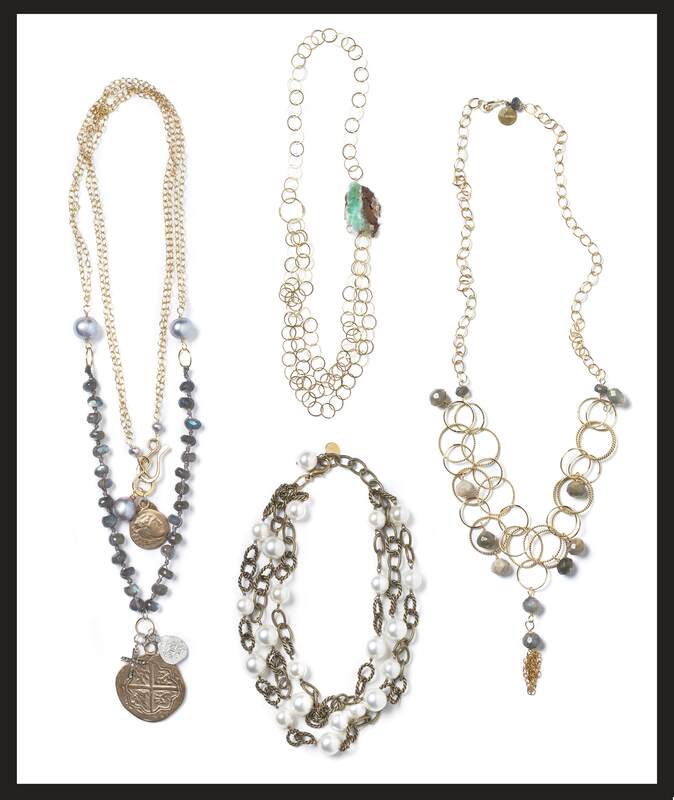 These pieces can be great for layering purposes, or can easily stand boldly alone. They add glimmer and sparkle to any outfit and will catch the eye of any passer by. 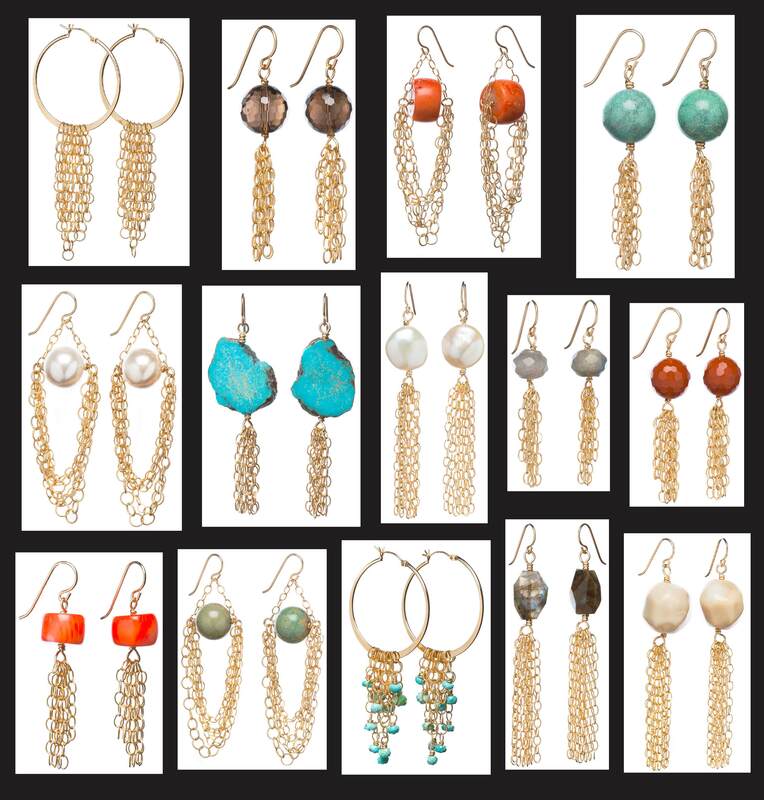 If you are thinking bold colors for summer fashion mixed with neutral jewelry these pieces will fit right in. Lots of gold chain and labradorite is definitely one thing we are crushing on at the moment, so why not keep it going all year long! These neutrals can pair well with any outfit or layering piece, and with our LJ charm necklace you can also wear what you love. Turquoise, what can we say our love for you is infinite. 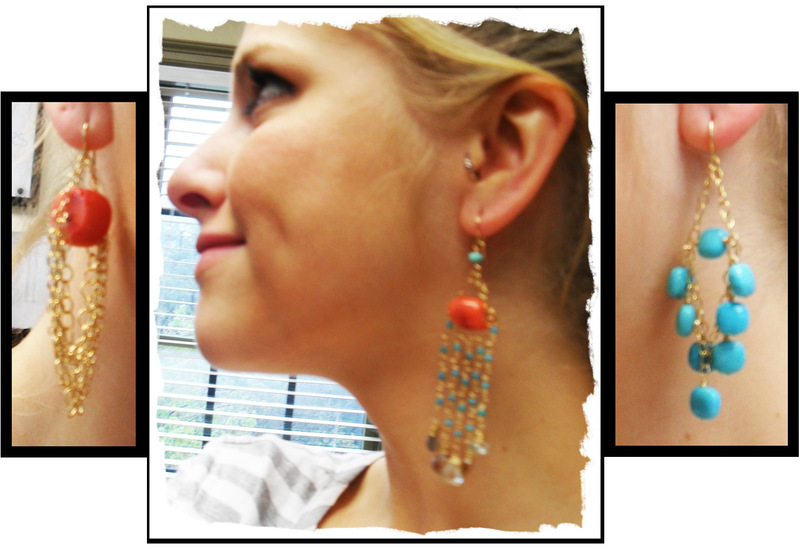 This summer it is all about the blue turquoise for us here at Liz James. Can you honestly look it in the eye and say you don’t love it? Well we sure can’t, and if it is color you are looking for then it is color we shall give you. Turquoise will pop with whatever you decide to step out in whether it is black and basic, or ruby red. Some of us just love the saying, go big or go home. How could you possibly stay at home if you are wearing one of these statement pieces? LJ has more statement pieces for all of you who just love living out loud. 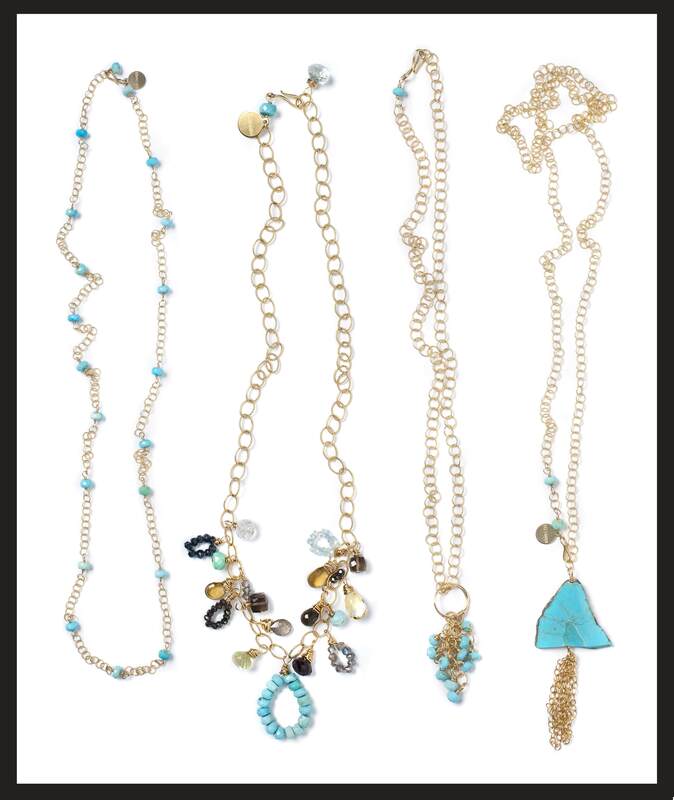 Choose from lots of chain or long in length, with no shortness on style. So I bet by now you are wondering… Where are all of the earrings? Well since we are thinking all earrings for these hot summer months approaching, we are going to give you the special treat of an additional blog this week. LJ has so many new earrings being added to the summer collection we are throwing an “EAR PARTY” (as we would like to call it) and will just have to blog about it! Just wait, your ears will thank us for all of the compliments and attention they are about to receive. So stay tuned! What do you see that you like? Want to see even more? Visit lizjames.com to view the complete collection.